Steve is a qualified planner with a strong focus on strategic and policy development. He has over 20 years’ experience across various areas of government and in private practice in Australia and overseas. He has recently obtained qualifications with the International Association for Public Participation Australasia (IAP2). He has developed a reputation for high quality and timely advice and a unique understanding of project delivery, particularly through a local government context. 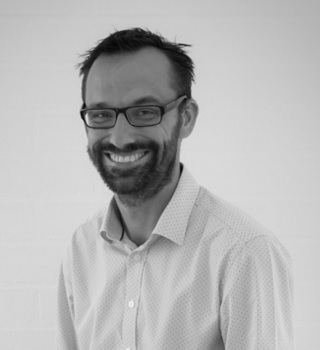 Since establishing Locale Consulting in 2009, Steve has utilised his experience across a range of urban planning, strategic policy development, economic development, business planning and design consultancy commissions to develop a holistic approach to his work. Steve started his career as an architectural draftsman, learning the fundamentals of good design, before focusing on environmental and transportation planning in his tertiary studies. Following a period of policy based work for the Federal Government and as a recreation and open space planner for one of the largest local governments in Queensland, Steve sought to broaden his horizons with international experience in the areas of transportation and community development in the United Kingdom and Cambodia. Upon return to Australia, Steve became a Planning and Transportation Policy Advisor to the Lord Mayor of Sydney, providing an invaluable understanding of both the politics and the importance of local community engagement in the decision making process. Since leaving Sydney more than 10 years ago, Steve has been involved in the private sector, initially with a multi-disciplinary firm before establishing Locale Consulting with a view to providing high quality, regionally based services with an outcome focused approach. Through his experience, Steve has a diverse understanding of government, planning and communities – three areas which he combines to assist his clients in the timely delivery of projects that are appropriate and responsive to their context.